Progress leagues were an early form of economic interest group. They lobbied politicians in local and central governments for funds to improve civic and regional infrastructure and amenities. 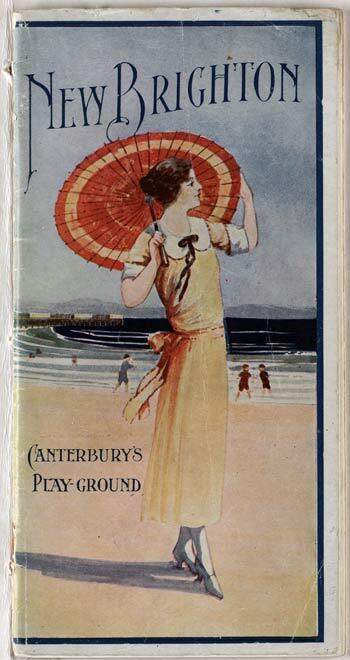 This is the cover of a 1923 booklet published by the New Brighton Publicity Committee and the Canterbury Progress League to promote New Brighton. In the background is one of the settlement's main attractions – the New Brighton pier.